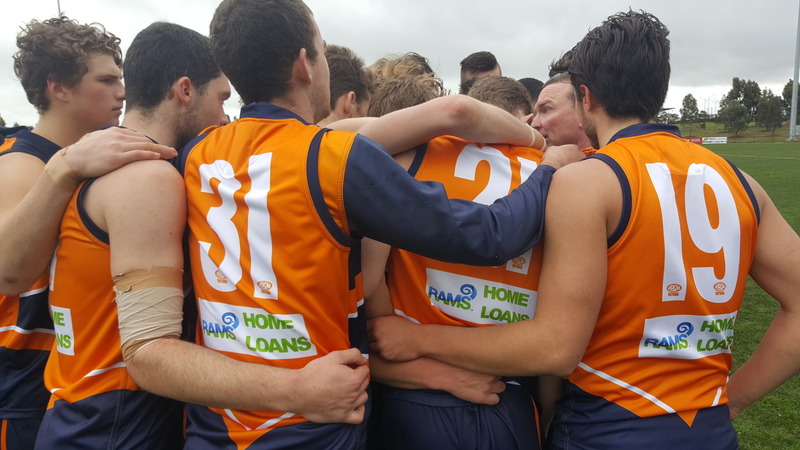 KEY forwards Noah Balta and Mitch Lewis gave Calder Cannons reason for optimism despite a disappointing loss to Gippsland Power at Rams Arena on Saturday. Alternating between the centre square and attack, the pair combined for eight goals in a 14.16 (100) to 11.11 (77) loss to Gippsland. Calder talent manager Ian Kyte said Lewis and Balta were two of the Cannons’ better players on a tough afternoon. “Lewis as a ruckman dropped back behind the ball but he couldn’t do it all,” Kyte said. “He probably had his best game in two years for us, which was good for him. “Balta was good again on-ball and in the ruck. “(But) we couldn’t get our hands on the ball. After leading by 13 points at halftime, Calder was made to pay for switching off as Gippsland piled on 17 scoring shots with the aid of a strong wind in the third quarter. The Power booted 8.9, opening a 38-point advantage with a quarter to play. The Cannons dug deep in the last quarter but the damage had already been done, Calder slumping to its eighth loss of the TAC Cup season. Midfielder Brad Bernacki, Aidan Tilley, Ben Caluzzi and Campbell Moorfield were named in the Cannons’ best alongside Balta and Lewis. The Cannons remained sixth on the ladder despite the result and have a weekend off before hosting premiership contender Geelong Falcons on August 13. Meanwhile, Ben Ronke gathered 17 disposals in his first VFL match for Coburg on Saturday against Casey Scorpions. While the Lions were beaten by 78 points, Ronke was among their better performers against one of the VFL’s flag favourites. The midfielder will spend another week with Coburg before returning to Calder for the last two games of the home-and-away season.